Hampton bay is the house brand of Home Depot. 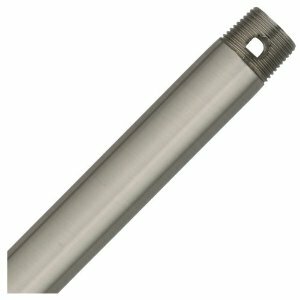 We tend to carry a lot of Hampton Bay replacement parts which might be helpful for you. 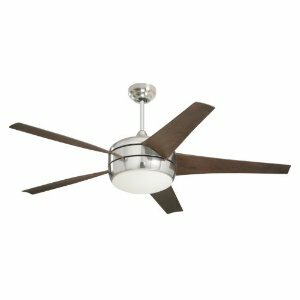 Unfourtunately, finding actual Hampton Bay ceiling fans to carry has always been a slight bit of an issue for us. 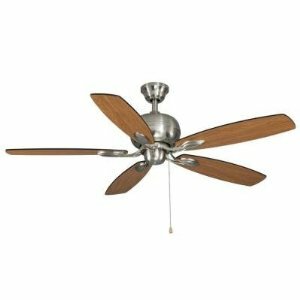 Because Hampton Bay is the store brand of Home Depot, their fans are somewhat difficult to obtain for resell purposes. If you are a store retailer, wholesaler, middleman or other who is interested in listing your Hampton Bay lineup here, we'd be more then happy to host your products. Be sure to let us know on the contact us page. 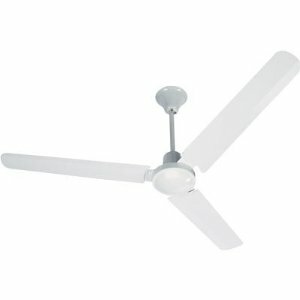 Hampton Bay replacement parts range from replacement fan blades to replacement remote controls. 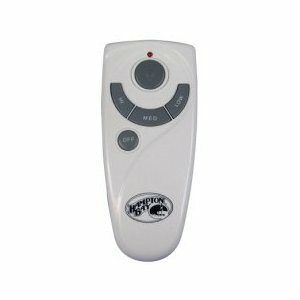 In terms of a replacement Hampton Bay remote control, you may be looking for a remote that controls both the fan as well as an attached light kit. 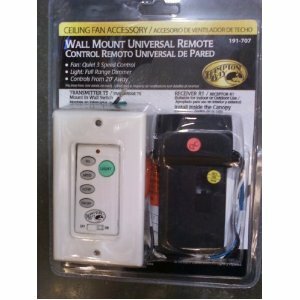 Or, you might be looking for a universal wall remote control. 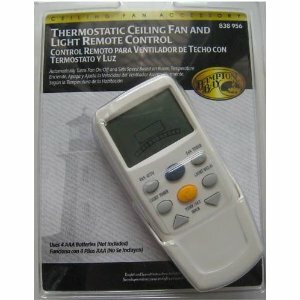 A remote control for both the light kit and the fan is more convenient. A wall control is physically mounted to the wall. They're two very different things, so if you're requesting a replacement remote, please be sure to let us know which you are after. 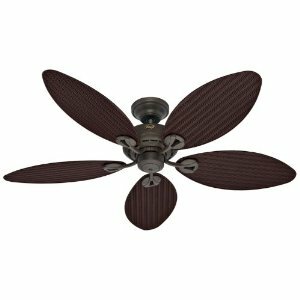 - Brushed Nickel Finish - Assembled Height with 4.5 in Downrod Included: 14.5 in - 5 Reversible Blades - Black or Cherry - 3 Speeds and Reverse Indoor 52 in Ceiling Fan Brushed Nickel Finish Assembled Height with 4.5 in Downrod Included: 14.5 in 5 Reversible Blades - Black or Cherry 3 Speeds and Reverse. 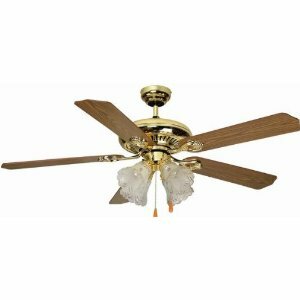 The Hampton Bay wireless remote controls both ceiling fan and light functions on most fans via a handheld transmitter. Can be easily installed. The transmitter uses one 9 volt battery (not included) and operates up to 40 Ft. away with 16 possible frequencies. Built in photocell - turns on at dusk, turns off at dawn. Weather resistant rustproof housing to make for easy outdoor installation. 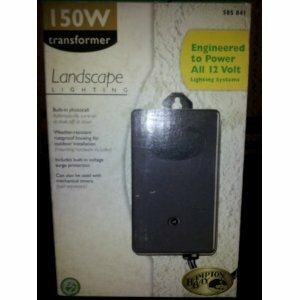 Includes built in voltage surge protection. Can be used with mechanical timers. Engineered to power all 12 volt lighting systems. 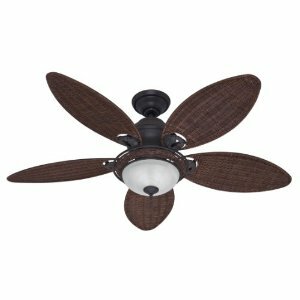 Fan 3 Speed Control. Light Full Range Dimmer. Controls from 20' Away. Fits most dual mount or downrod style fans with appropriate hanging bracket, motor size between 153mm x 8mm to 212mm x 35mm, motor power rated under 1 amp.